Pen drives (also known as USB drives) are now cheap and affordable. A small USB stick that costs less than 500 rupees can now hold 16GB of data (which is quite a lot of space for photos, songs and other files – you would only need a higher capacity pen drive if you want to carry large video files). The pen drive must have USB 3.0 support. This allows faster file transfer between your computer (or mobile phone) and pen drive. Even if the USB port on your computer does not support USB 3, it’s better to buy a USB 3.0 pen drive, because it’ll be future-proof. The brands that we recommend are SanDisk, Transcend, Sony and Kingston. When it comes to warranty and replacement, we haven’t had any issues with SanDisk and Sony. We also like it when the pendrive has keychain / lanyard support – it’s easier to carry around, all you have to do is attach it to the key chain of your car or bike. 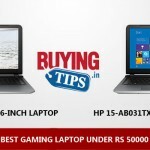 Below are the Best 16GB Pen Drives that we have tested and recommend. We have also included links (below the product image) to buy the original product from reliable shopping sites like Flipkart, Amazon and Snapdeal. Plastic build, but looks sturdy. 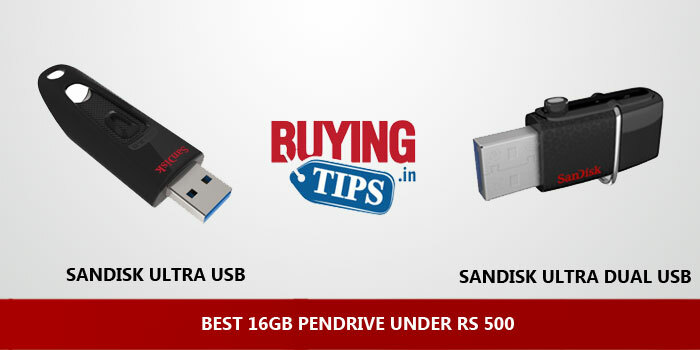 At Rs 500, it’s value for money pen drive. Slider mechanism is a bit sensitive, no big deal though. The USB drive comes with USB 3.0 support and USB 2.0 for Micro USB. Compatible with MAC, Windows and Linux. MicroUSB is compatible with almost all Android phones which support OTG (on the go). The read/write speed is slightly slower than Sandisk Ultra, however for the price, it does a decent job. The slider button is a little delicate. Doesn’t come with any loop to attach it to a keychain or lanyard, so the chances of losing is very high. Doesn’t come with password locker software for file security. Doesn’t heat up after extended periods of usage. Average build quality, the plastic build makes it look and feel cheap. Doesn’t come with any Password locker software for the security of the files.